I’ve never met Jon Krampner, which is lucky for him because if I ever did meet him I might very well kiss him on the mouth. Because I really love his new book, Creamy & Crunchy: An Informal History of Peanut Butter, the All-American Food, just out from Columbia University Press. I say this not just as someone who eats a tremendous amount of peanut butter, but as someone who reads a fair number of books. 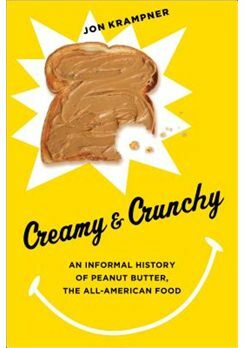 Creamy & Crunchy has what every great cultural history should: a knack for telling the larger story of our country through our shared artifacts. Krampner was gracious enough to answer a few questions about C&C for TNB, knowing that many of our readers consume their own weight in peanut butter each month.